Beautiful mountains, waterfalls, and a welcoming unique community are just a few of the things that make Western NC an amazing place to live! Another benefit is all of the fun happenings and events for every lifestyle, here are some to look forward to in March 2019! The Spring Conference offers practical, regionally-appropriate workshops on organic growing, permaculture, homesteading, urban farming, and rural living plus a trade show, seed exchange, silent auction, special guests, and pre-conference, on-farm events. More than 70 sessions per day in themed tracks including Gardening, Soils, Livestock, Primitive Skills, Permaculture, Herbs, Alternative Energy, Sustainable Forestry, Homesteading, Cooking, Poultry, Farmers I and Farmers II, Mushrooms and Food Resilience. The Organic Growers School Spring Conference is a one-of-a-kind event that brings people of all walks of life together for a weekend of learning and networking. Since 1993, the OGS Spring Conference has been the best way to kick-off the season. Admission: Cost: $59 for Saturday, $49 for Sunday: Early Bird Registration by January 31st. Registration is an additional $15 after January 31st and at the door. 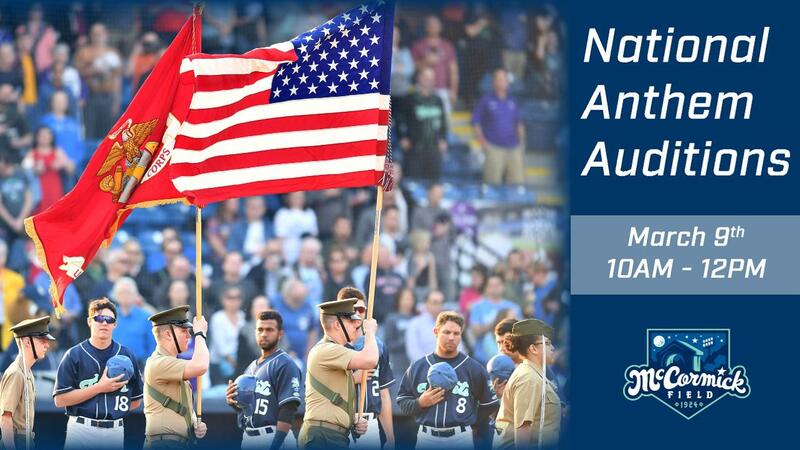 ASHEVILLE - The Asheville Tourists announced National Anthem auditions are taking place Saturday, March 9, from 10am-Noon at McCormick Field. Interested singers should report to the seating bowl area to sign up during the scheduled time frame. Registration for signups will begin no earlier than 9:45am. Auditions will take place on the field behind home plate. Individual auditions are to last no longer than one minute and thirty seconds. Those waiting to audition are asked to be respectful while other candidates sing/play the National Anthem. "Every year we are excited to provide the opportunity to feature new anthem singers," noted Tourists Director of Marketing and Fan Relations Sam Fischer. "We encourage everyone interested to come out and do the best they can." Individual game tickets also go on sale Saturday, March 9 at 10am. Tickets start at $7.50 for adults and $5.50 for kids 6-12, seniors, and military. Tickets for July 3 go on sale at a later date. To purchase tickets, visit the McCormick Field ServPro Box Office, call the Front Office at 828-258-0428, or visit theashevilletourists.com. Symmetry Financial Group, AdventHealth and Native Kitchen present a very special evening to benefit Our VOICE, Inc. Tarana Burke started a revolution in 2006 when she first used the phrase Me Too in reference to her own sexual assault. More than 10 years later the Me Too Movement transformed into the viral #MeToo phenomenon. Tarana was named a 2017 Time Magazine Person of the Year for her role in breaking the silence around sexual violence. Tarana’s message is clear: together we are creating a movement that is actively shaping and changing our cultural norms now and for future generations to come. March 14, 3-6 pm, New Belgium Brewing Company, 21 Craven St.
Fairgoers can browse different CSA programs and talk directly with farmers about their offerings. Farms will be set up at individual tables like a farmers market and will share information about their CSA programs, including what products they offer, where and when they deliver, and their growing practices. It’s a friendly setting to learn more about your options, or bring your checkbook to subscribe right on the spot! Groups, such as workplaces, churches, or neighborhood associations, are encouraged to attend. Some participating farms will deliver directly to these locations if there is sufficient demand. This event is FREE and open to the public. A special “Pie Day” popup will feature Sweetheart Bakery. Children are welcome to attend the fair. There will be family-friendly activities. Admission: Free to $93, depending on the event. Details and purchase instructions for individual events can be found at ashevilleamadeus.org. Top o' the mornin' to y'all! We are feeling a bit Irish this St. Patrick's Day and we're celebrating with beer, music, and dance! 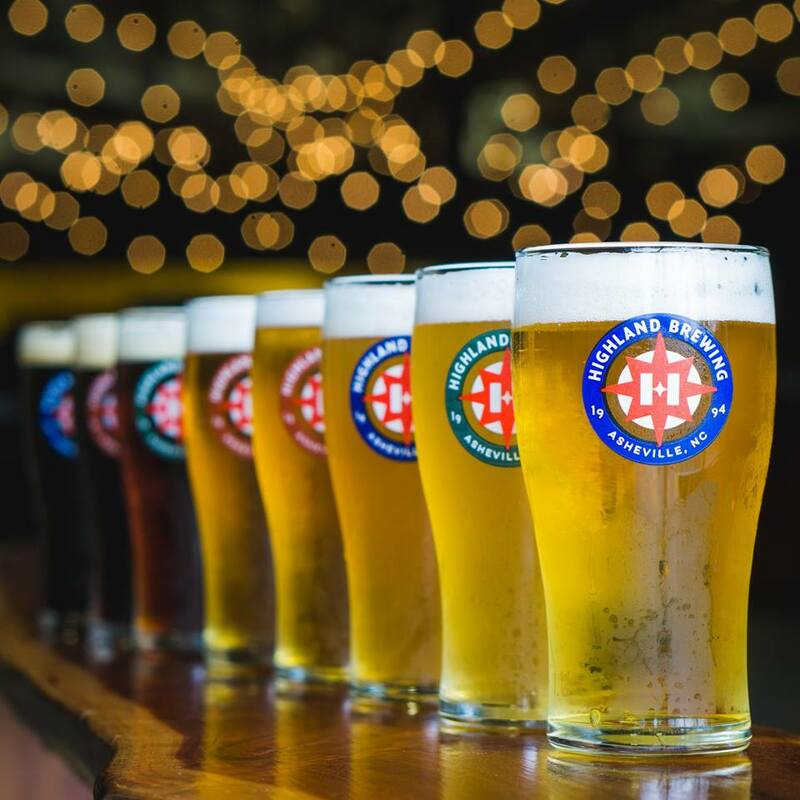 Join us for a pint of a classic nitro Irish stout, watch the Carpenter Academy of Irish Dance Asheville from 4pm to 7pm, then hang around for some psychedelic indie rock courtesy of the The Get Right Band! 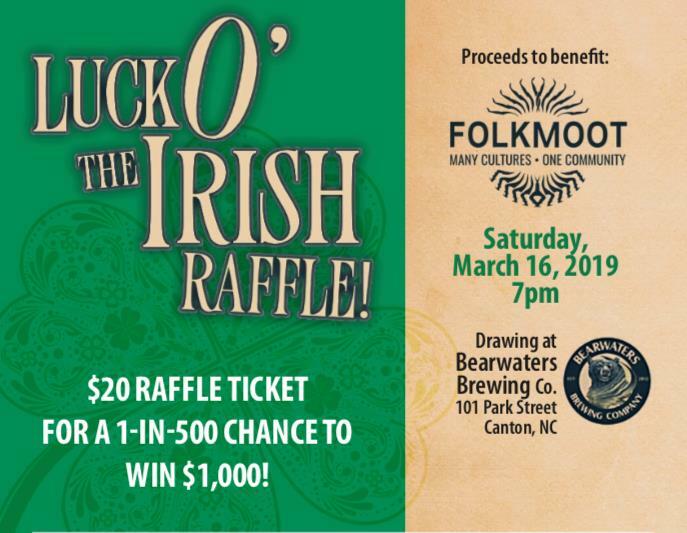 Come celebrate Saint Patricks Day with Folkmoot on Saturday, March 16, 2019 at Bearwaters Brewery in Canton at 7:00pm. Between now and the event, Folkmoot friends will sell 500 tickets at $20 each for a chance to win $1,000. Proceeds benefit Folkmoot’s year-round programming initiatives including the Southern Storytellers Series, Nashville Songwriters’ Nights, Friendship Dinners and production of community-wide events at the Friendship Center. Do you have the luck of the Irish? Call Folkmoot, 828-452-2997 to learn more or purchase your Luck O’ the Irish ticket through the link below. Paper tickets can be mailed or picked up at the Friendship Center in Waynesville. 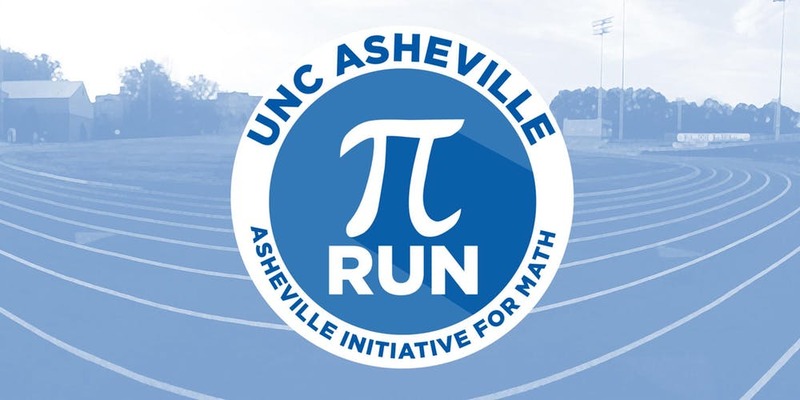 Celebrating what it calls “the greatest number in the universe,” UNC Asheville’s Department of Mathematics will host the annual Pi(e) Day Run (or walk, for those who prefer) and pie contest on Sunday, March 17. The 3.14-mile fun run beginning at the Karl Straus Track on campus is open to everyone, with a registration fee of $15 that includes a t-shirt and swag bag. The run begins at pi time – 3:14 p.m. and will conclude with a homemade pie contest – where anyone can bring pies for Marvelous Math Club students to sample and judge. Additionally, refreshments for runners are being generously donated by Geraldine’s Bakery, Standard Pizza, Mellow Mushroom, and Trader Joe’s; additional support for the run comes from Rotary of Asheville – South, and WNC Grand Prix. 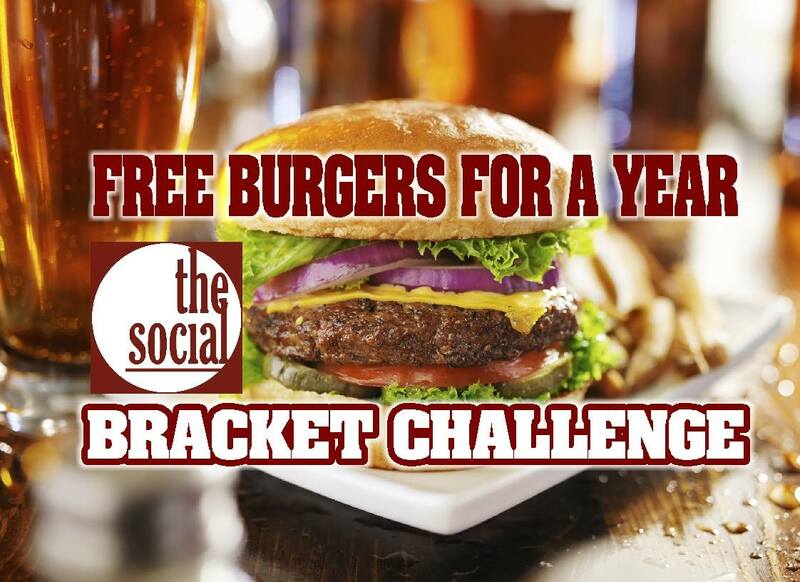 Join The Social family in our March Madness Bracket challenge to win FREE BURGERS FOR A YEAR!! Only one person will be victorious. The winner will receive a free basic burger & fries once a week for the next 52 weeks. LET'S GO!! 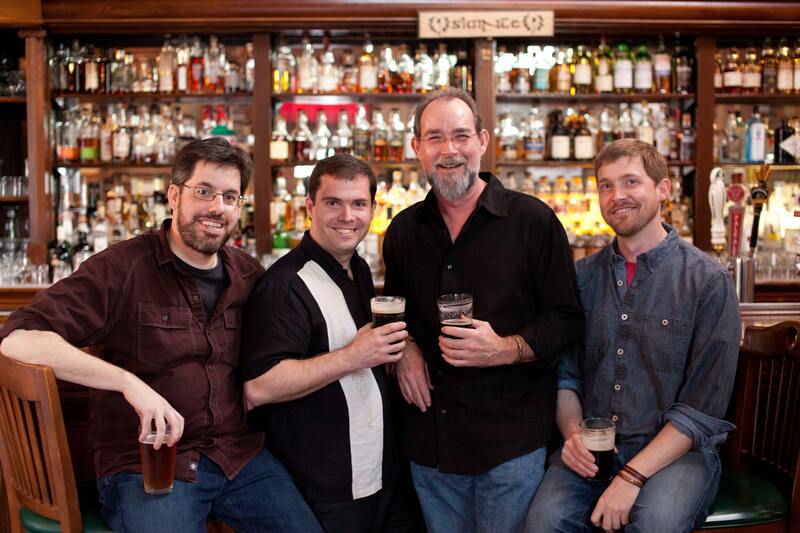 Come join us for some good ol' Irish Times and Tunes this St. Patty's Day! 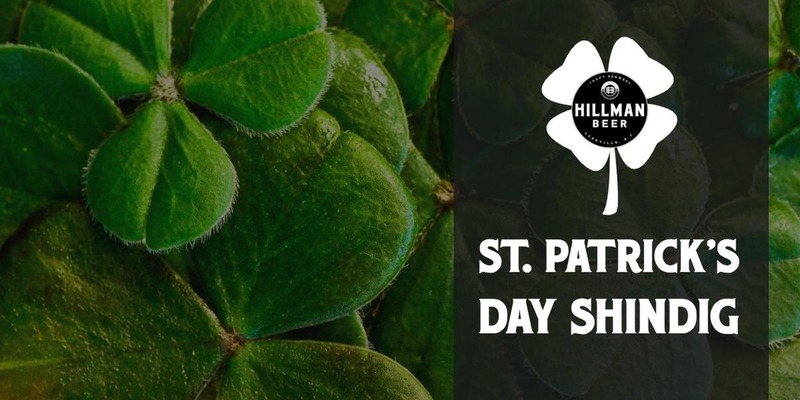 Asheville Firefighters Pipes and Drums will be performing and Rise Above Deli will be doing a delicious St. Patrick's Day special of Bangers and Mash with Stout Onion Gravy and Lucky Charms Bread Pudding! YUM! 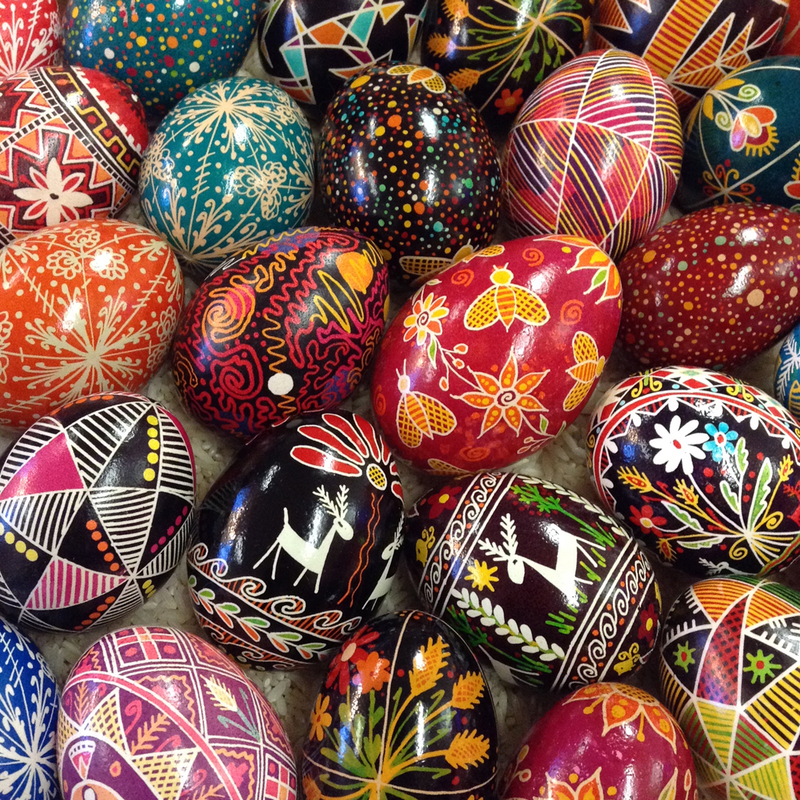 On March 22 and 23 at Grovewood Gallery, Andrea Kulish will demonstrate the ancient Ukranian art of pysanky, a wax-resistant method of decorating Easter eggs. Each egg is designed as a wish, with symbols and colors intended to bring the person who receives it love, health, success or whatever attribute the artist selects. A first-generation Ukrainian-American, Kulish learned the intricate art of pysanky, which translates to “written eggs,” as a young girl. Now, she not only creates them, using unique folk-inspired designs, but she also teaches classes in the art. Finished work will be on display and available to purchase. Come stretch out and relax with our shelter kitties! 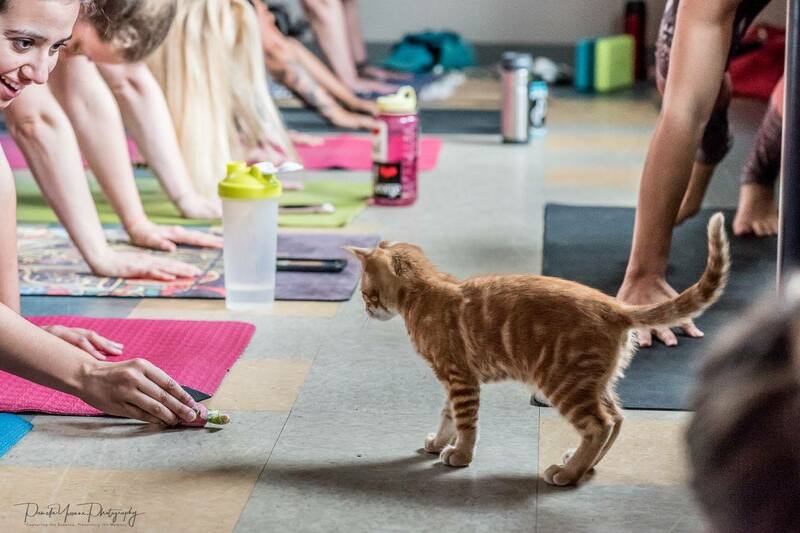 Animal lover and yoga instructor Jesse Lee will guide you through an all-levels, donation-based class designed to increase your flexibility, reduce anxiety, and allow you to spend much-needed quality time with the cats at the Haywood County Animal Shelter. Elite Slalom paddlers strive for precision and speed on the legendary Nantahala Falls course at this classic southeastern race. Additionally, wildwater racers compete in spring and classic components on the Nantahala River. 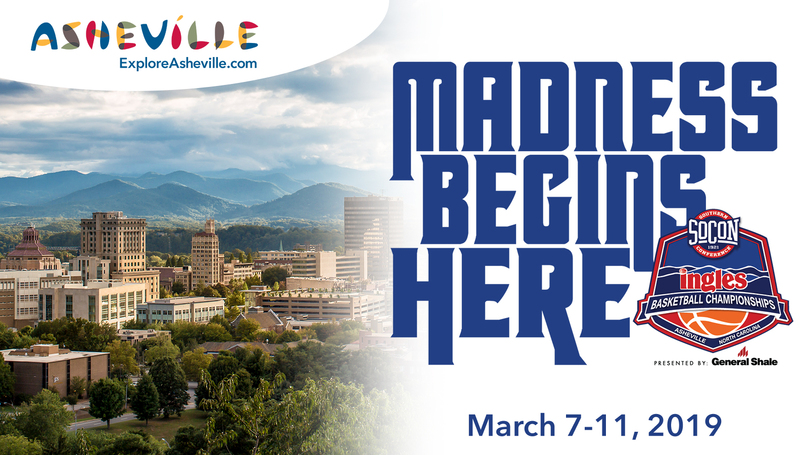 Spectators are invited to enjoy the show from the Forest Service walkway along the Nantahala Falls, which affords excellent views of both races. Bring a cup of fresh coffee from River's End Restaurant, located just downstream of the race course, and warm your hands as you enjoy US whitewater racing at it's best! Racers and their families receive 10% off at River's End Restaurant for the race weekend - just wear your US Open t-shirt into the restaurant. FEES: Through March 27 at 10 p.m.